If you love your morning coffee, you may be surprised to find out that it offers some real health benefits. And by simply adding three all-natural ingredients to your brew, you’ll not only have more energy, but you’ll also drop a few extra pounds. Now that’s how I like my morning coffee! Coffee may perk you up and even kick-start your system each morning, but here’s another great reason to sip a cup of java each day. That steaming cup of brew is the number one source of antioxidants in the U.S. diet, according to a study by the University of Scranton. “Americans get more of their antioxidants from coffee than any other dietary source,” says study leader Joe Vinson, Ph.D., a chemistry professor at the university. And whether you’re drinking leaded or unleaded, both versions of coffee appear to provide similar antioxidant levels. Coffee may even lower your risk of developing diabetes. Studies suggest that coffee drinkers have a significantly reduced risk of developing type 2 diabetes. Interestingly, those who drink the most coffee have 23 to 50 percent lower risk of getting this disease. One study shows a reduction as high as 67 percent. Moreover, a study published in the European Journal of Neurology suggests that coffee may even decrease your risk of getting Alzheimer’s disease by as much as 65 percent! Did you know that caffeine is found in most commercial fat burning supplement? Caffeine is one of the only natural substances that has actually been proven to aid fat burning. In fact, caffeinated coffee boosts your metabolism and helps increase the rate at which your body burns calories. A study published in the American Journal Clinical Nutrition set out to investigate the effects of coffee on the metabolic rate. Researchers found that caffeinated coffee stimulates the metabolism in both obese and normal weight individuals. However, when it came to normal weight subjects, it seems there was an even greater fat loss. But here’s some even better news. Now you can boost your metabolism and energy even further by adding these three ingredients to your morning brew: Coconut oil, cinnamon, and raw honey. And if you’re wondering how this blend will taste in your favorite organic coffee, I’m here to tell you, it tastes great! When it comes to fat and oil — what’s healthy and what’s not — science has greatly changed its opinion over the past few decades. Coconut oil has garnered a lot of interest, becoming one of the most popular superfoods recommended for raw and cooked consumption. Yes, coconut oil is fat, but it’s a healthier version. 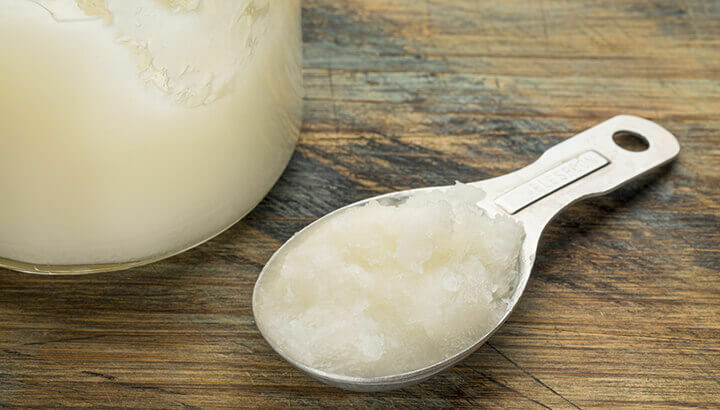 While most other fats contain long-chain fatty acids, coconut oil is comprised almost entirely of medium-chain fatty acids, which metabolize differently. Medium-chain fatty acids are sent to the liver by the digestive system where they’re either converted to energy or ketone bodies. There are also several studies that have observed fat loss and metabolic changes in response to medium-chain triglycerides, which make up about 65 percent of coconut oil. Researchers have found medium-chain triglycerides to increase metabolism, reduce appetite and calorie intake and promote fat loss. Therefore, adding coconut oil to your morning coffee can be very beneficial for shedding excess weight. In one Malaysian study, researchers found coconut oil to decrease body fat and waist circumference without having to intentionally reduce calories. In another Brazilian study that compared calorie-restricted diets, researchers noted decreased abdominal fat in those who consumed coconut oil. The bottom line is that coconut oil is a natural thermogenic, meaning it increases your basal metabolic rate and energy. The result? A more efficient, fat-burning cup of coffee. Like processed sugar, honey is sweet. But unlike processed sugar, it’s a natural sweetener rich in vitamin B6, folate, vitamin C, niacin and riboflavin. It also contains numerous minerals including iron, calcium, sodium, zinc, potassium and phosphorus. 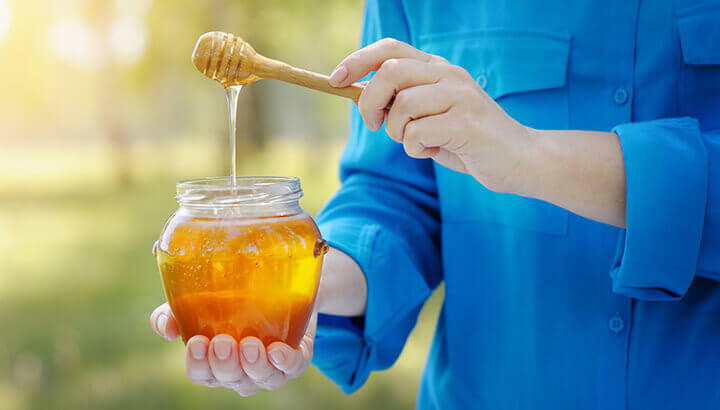 Eating honey may also help increase the levels of “good” cholesterol in the body and reduce cardiovascular strain, according to research published in The Scientific World Journal. And when compared to dextrose and sucrose, honey also lowers blood-sugar elevation in diabetics. So, what happens when you add honey to your coffee? Normally, fat remains as an unused resource in the body, adding bulk and weight. 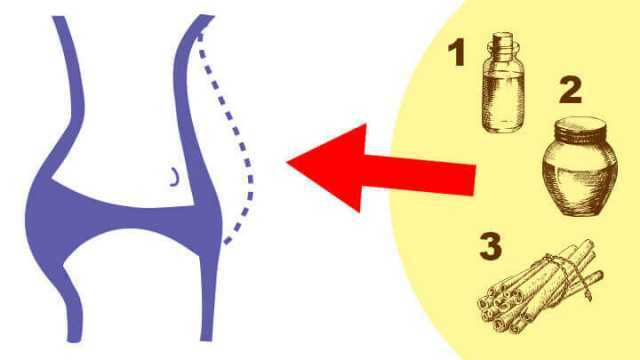 But it’s thought that honey can activate this stored fat to provide energy for your daily activities. That means you can lead a more active, healthy life, which will further promote weight loss. For best results, use raw honey. Cinnamon is loaded with antioxidants and anti-inflammatory properties that help fight infections and inflammation in the body. It also lowers blood sugar levels in the body to help keep you feeling full longer, which aids weight reduction. Cinnamon boosts metabolism and helps prevent the accumulation of fat in the body by supporting the conversion of sugar into energy. There are two types of cinnamon — ceylon and cassia. But which one is best? While both types come from the inner bark of the cinnamomum tree, cassia is typically darker and has a much more pungent flavor. Ceylon, on the other hand, is considered to be finer and more delicate because of its sweeter taste. Although the two are similar, they have some very distinct differences that could impact your health. 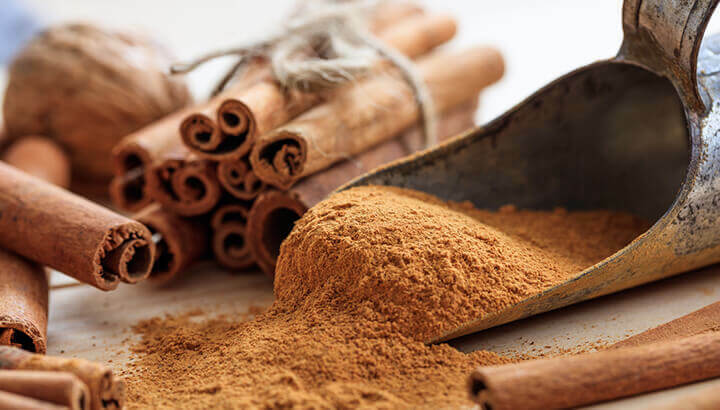 Cassia cinnamon is one of the largest sources of coumarin, which is known to be toxin and can affect the liver. It is also a potential carcinogenic. Ceylon cinnamon either does not contain coumarin or it contains such trace amounts that it is undetectable. So, the best choice is always ceylon cinnamon. 1. Mix all ingredients together well until smooth. Store it in a covered container. 2. Each morning when you pour yourself a fresh cup of coffee, stir 1 to 2 teaspoons of the prepared mixture into your black coffee while it’s still hot. Enjoy! Hey Buddy!, I found this information for you: "Want To Burn More Fat? Put These 3 Things In Your Coffee". Here is the website link: https://www.thealternativedaily.com/add-coconut-oil-honey-and-cinnamon-to-coffee/. Thank you.